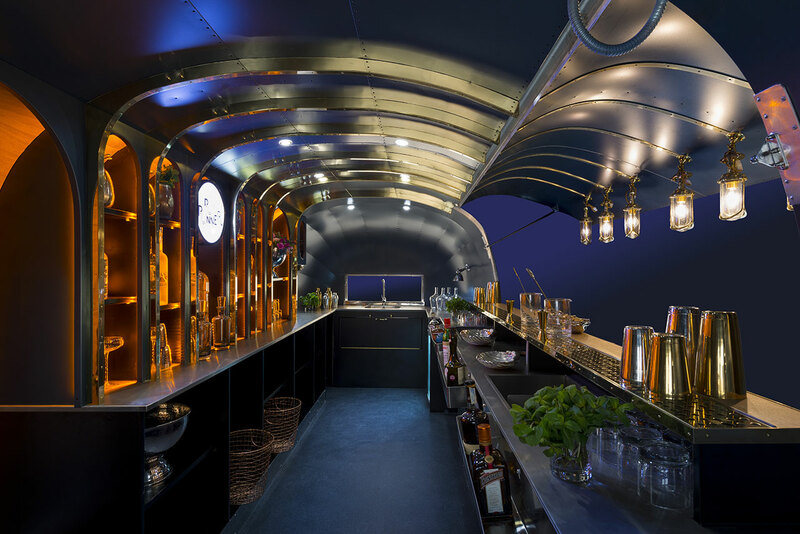 Below is information about our latest refits and renovations. 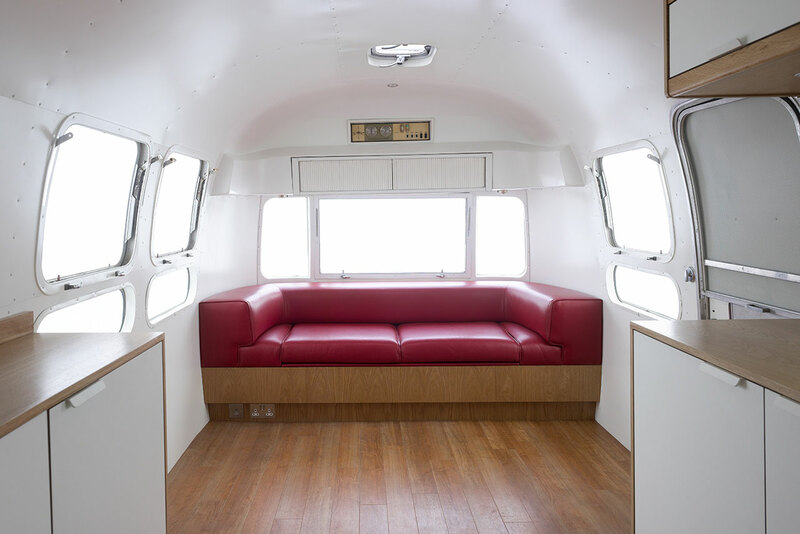 Click on each project for more information and photos. 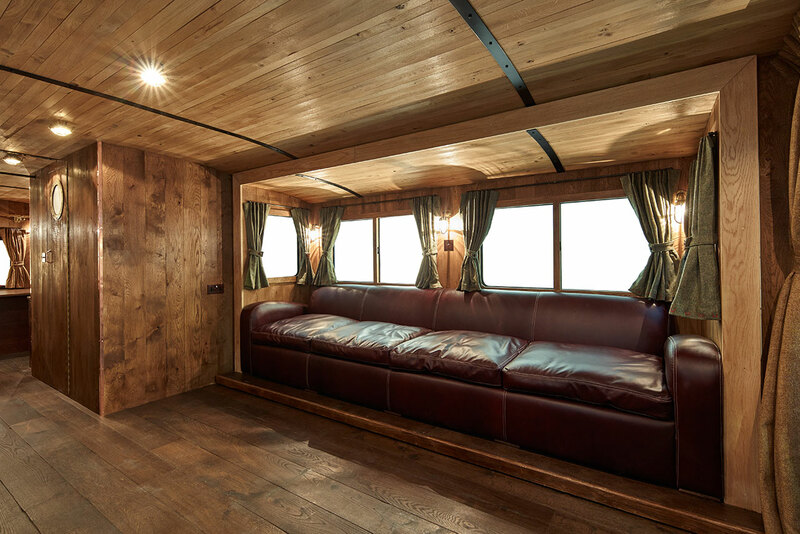 Our latest project for a well known British film producer, a 35ft American RV with 2 slide outs. 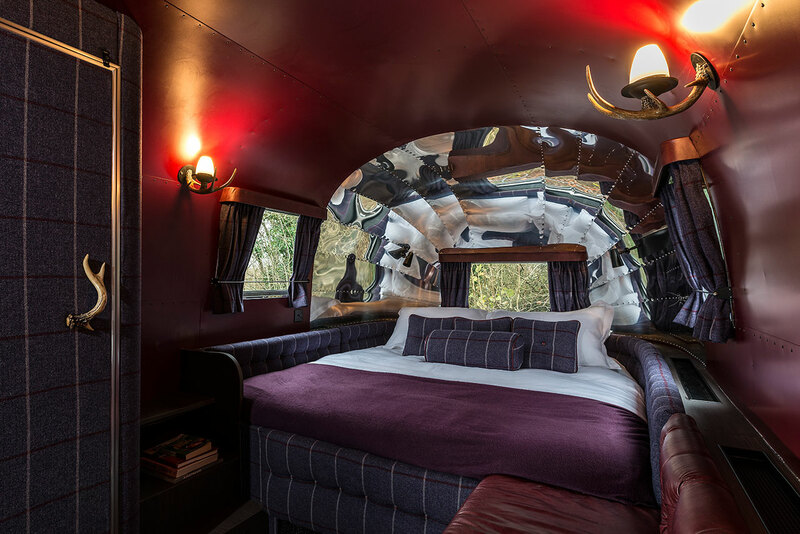 This Airstream Country Retreat has a wood burning stove, stained glass skylights and wood panelled bedroom. 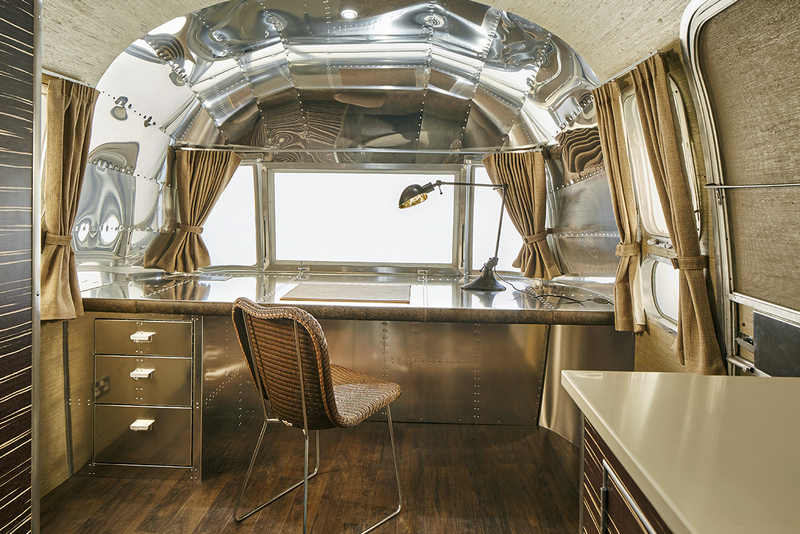 This Airstream is going to be used as a home office. 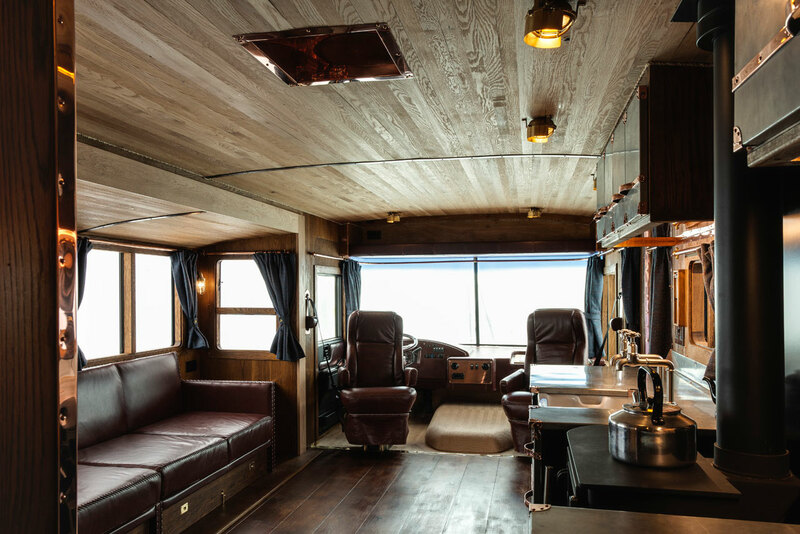 This American RV was stripped out and rebuilt with a wooden interior and leather sofas to create a home from home for filming on location. 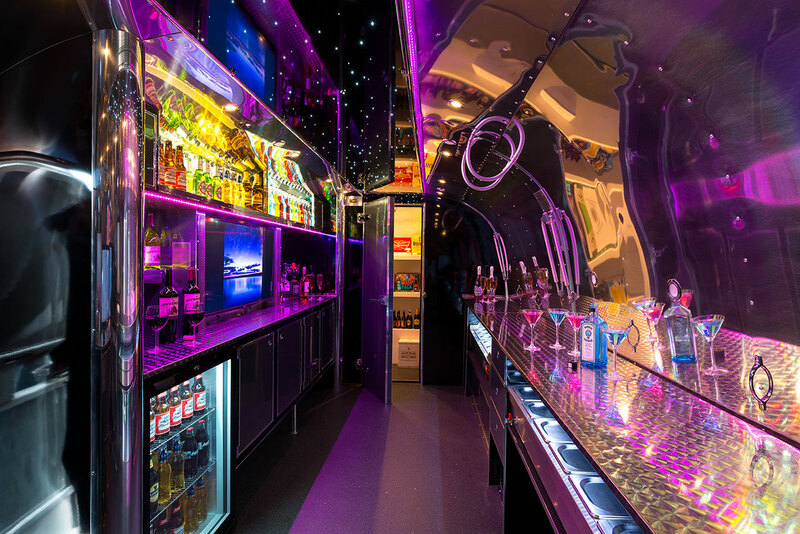 A very shiny luxury refit. 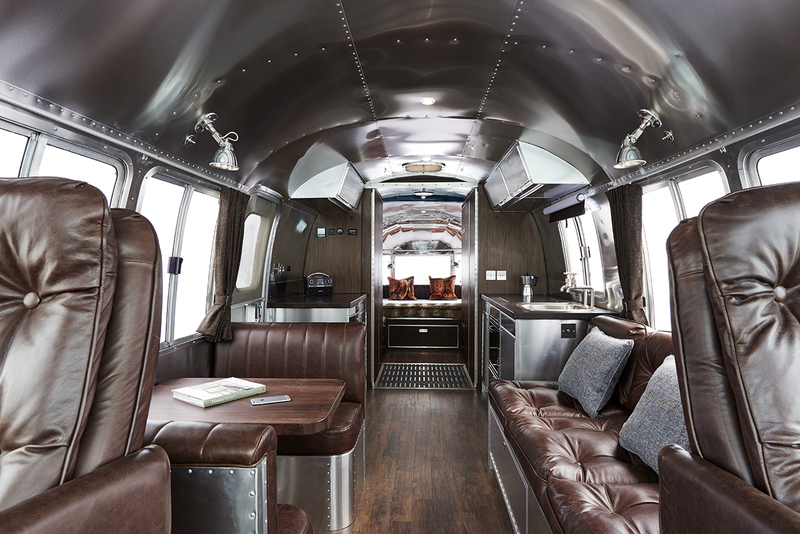 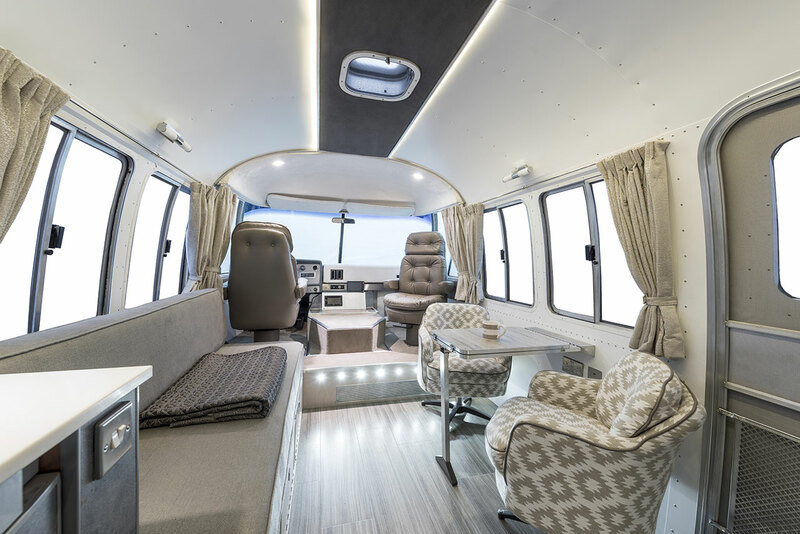 The interior of this Airstream was inspired by the Ralph Lauren Corral Canyon collection. 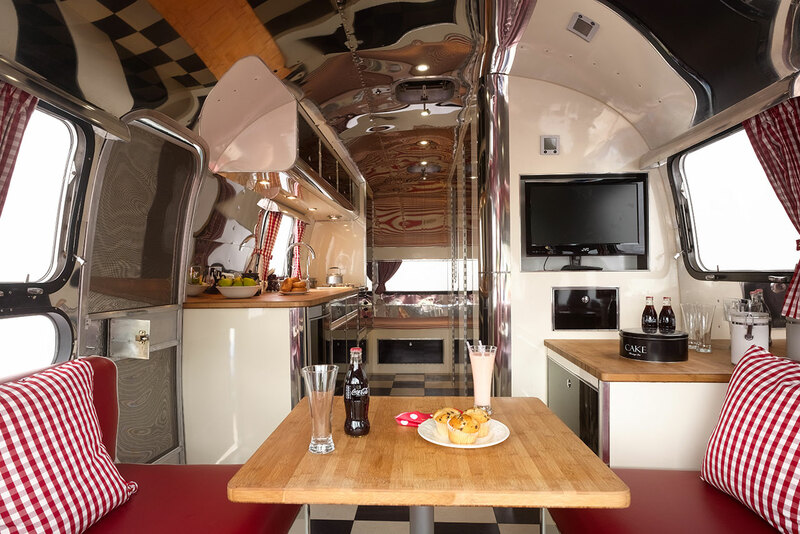 This Airstream has an egg-shaped hole leading into a fully upholstered bedroom area. 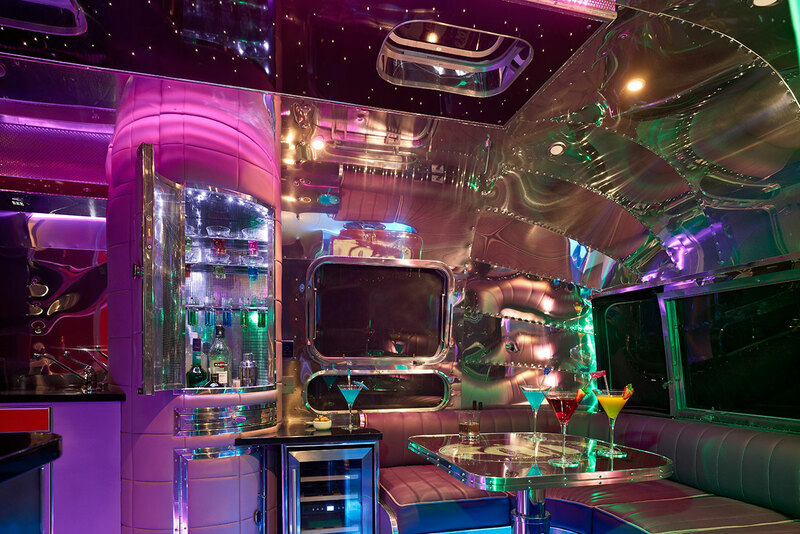 This Apollo 70 is an Airstream cocktail bar. 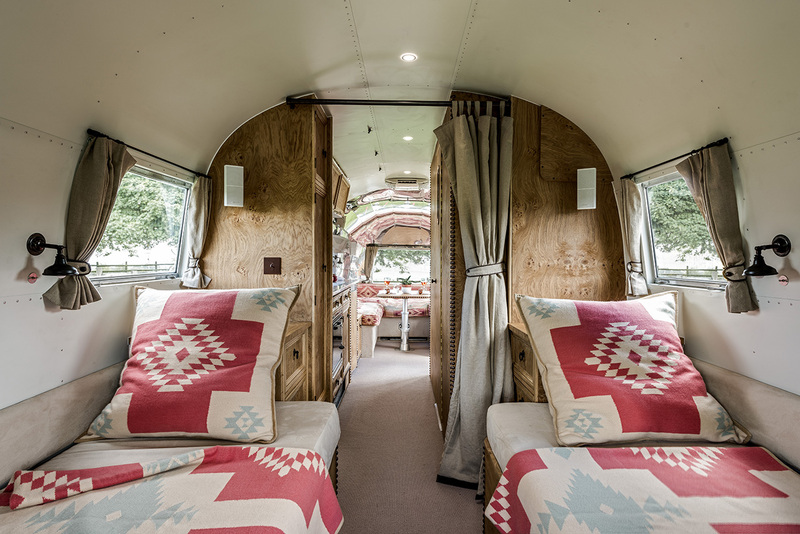 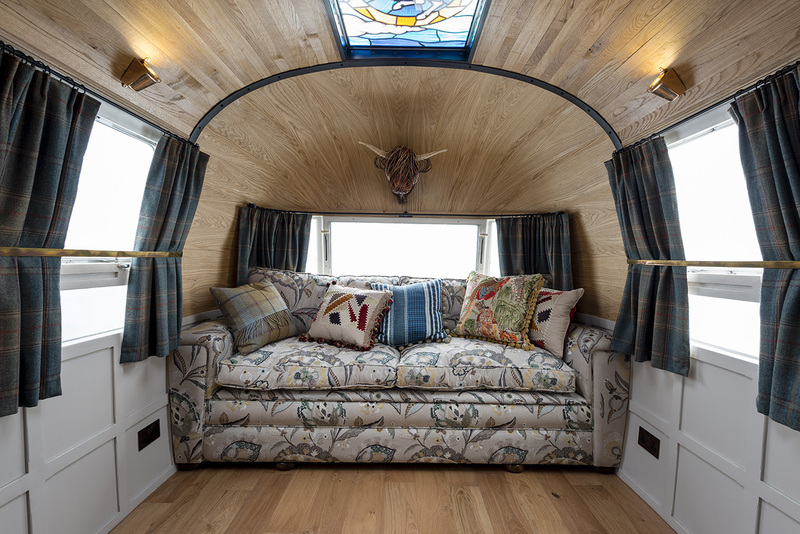 This Airstream uses similar materials but with silver and heather tones rather than copper. 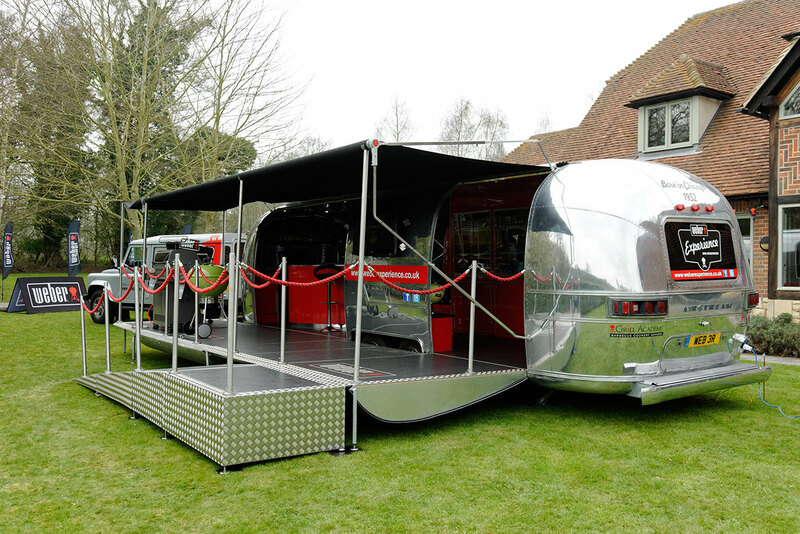 A touring corporate and promotional vehicle for Weber Barbcues. 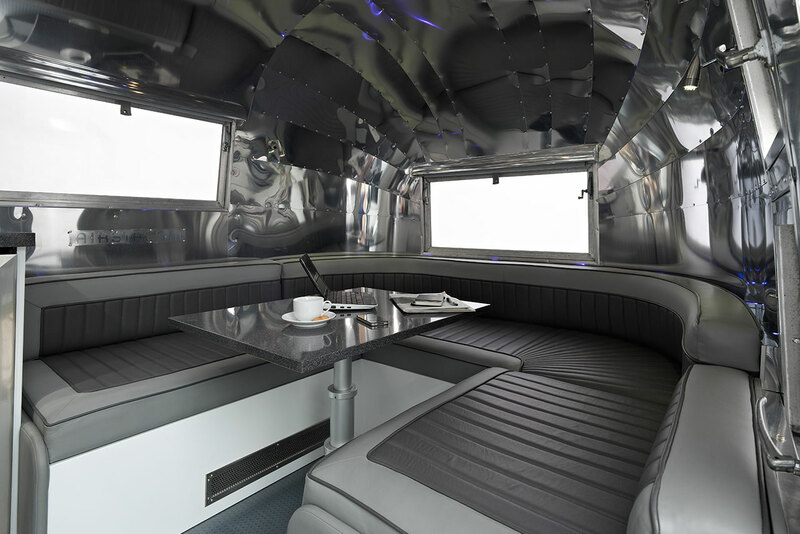 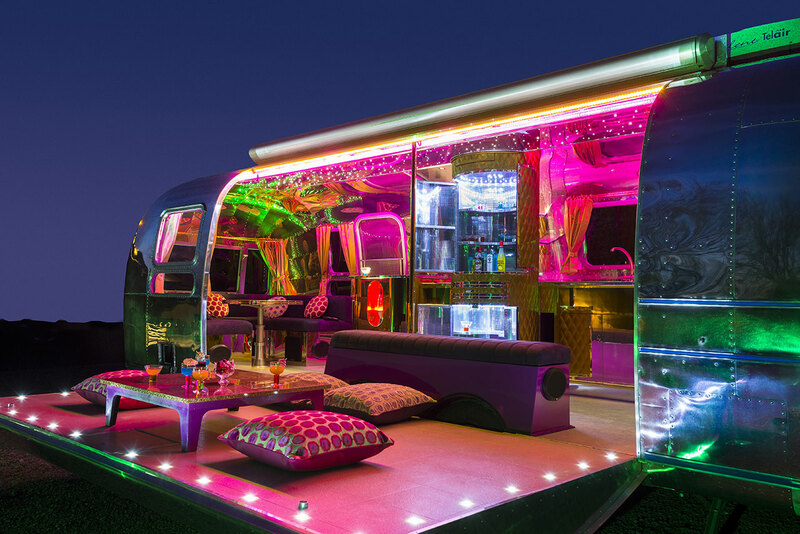 This leisure Airstream was refitted for the owner to take on glamping trips and to festivals. 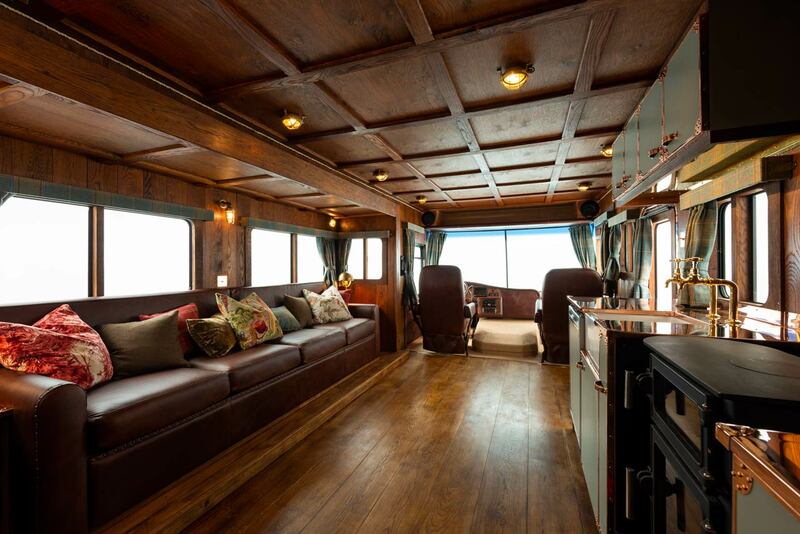 The Landyacht has a bespoke kitchen and bathroom and a space for entertaining clients. 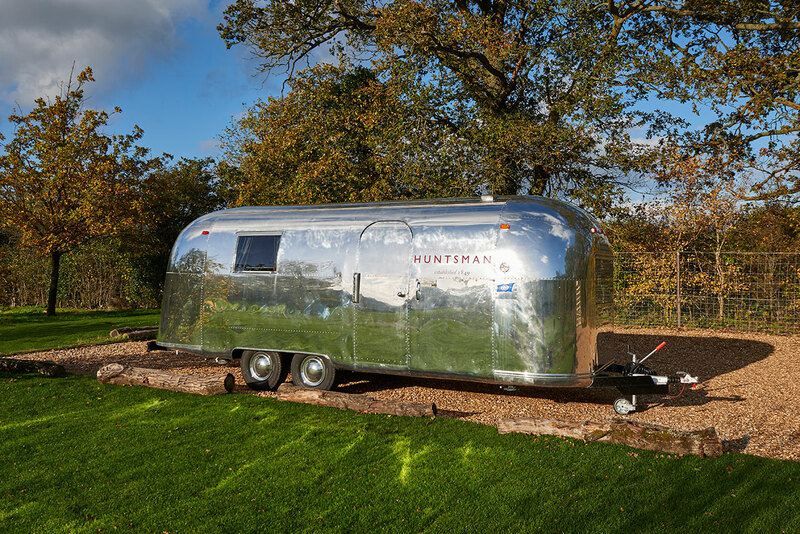 This Airstream was fitted out for the owner to use as a base when he was racing in the British Touring Car Championships.